A fraudulent (phishing) email pretends to be from a well-known company, such as PayPal or eBay, in an attempt to get personal information from you. People who send phishing emails hope to use your information – such as credit and debit card numbers or account passwords – to commit identity theft. Phishing emails – and the hoax websites often associated with them – are deceptive in appearance. However, they contain content that reveals they’re fake. The most important thing to do to protect yourself is be able to spot this misleading content. Generic greetings. 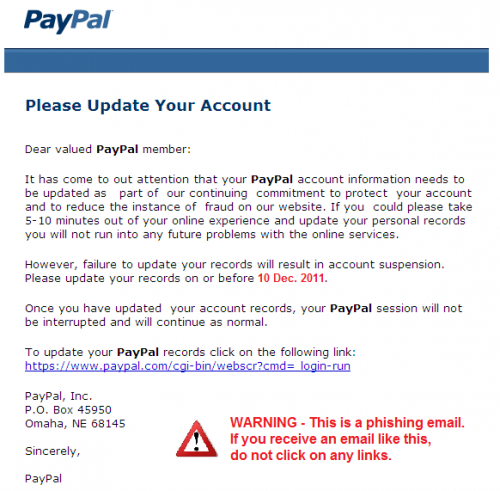 Many phishing emails begin with a general greeting, such as: “Dear PayPal member”. A false sense of urgency. Most phishing emails try to deceive you with the threat that your account is in jeopardy if you don’t update it ASAP. Fake links. The text in a link may attempt to look valid, but then sends you to a hoax address. Always check where a link is going before you click. Move your mouse over it and look at the URL in your browser or email status bar. If the link looks suspicious, don’t click on it. And be aware that a fake link may even have the word “PayPal” in it. 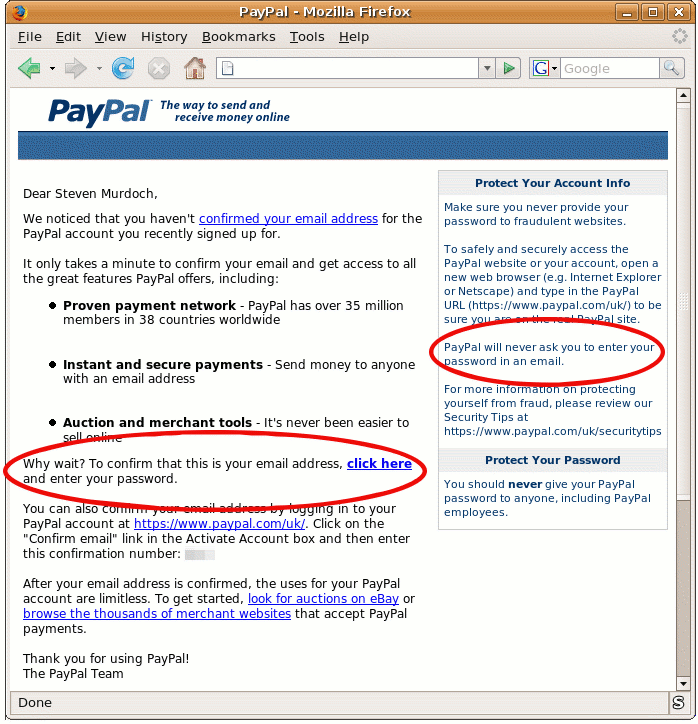 Official PayPal Logo – As any email sent by a company, it has a link behind it. Get Verified – After you register, you must confirm your registration. Add Bank Account – This is the same link that will send you on your accont. Update your Preferences Here – Is your acocontul link where you can change the options you have available. Here it is clear that the logo is different and the address is hidden behind another link which will send you to a website phishing. One of the rules is that you have paypal: There will never ask to change your password by email! 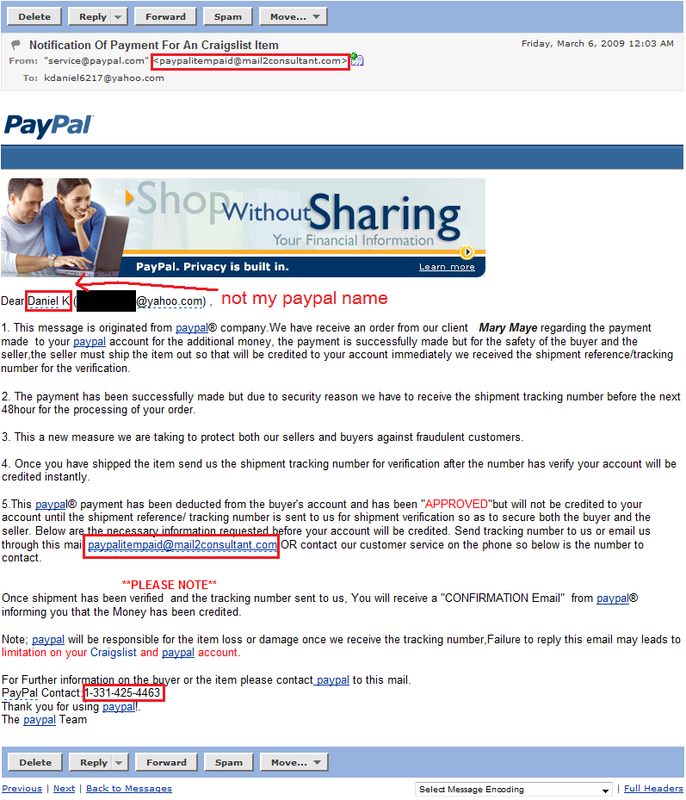 This example is an email received give a different account at PayPal. The most important thing to do when you receive an email is to not click on any link in that email, try to login directly to your account and check the notifications that you have (usually all emails sent by PayPal occur automatically by notice in your PayPal account).